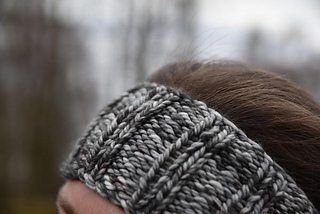 This simple headband only uses about 35g of Pendle Chunky yarn, meaning you can get two out of a 100g skein - or you could make a pair of fingerless mitts out of the leftovers. My Langrigg pattern is ideal for this. I tie my hair up quite a lot, but I still really need to wear something warm on my head for dog walking when I do. 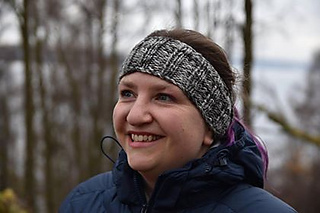 I’ve made a couple of headbands from other patterns and they’re lovely but a bit loose for my liking, so I thought let’s make one in chunky and make it a bit tighter so that it actually stays in place. This is so easy you’ll be able to resize it or make your own adaptations.